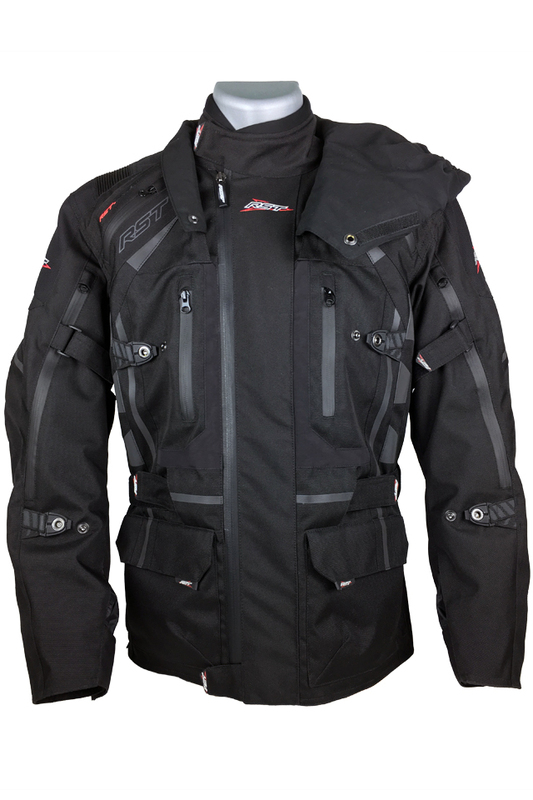 The RST Pro Series Paragon V Jacket is a versatile touring jacket, featuring a water-resistant outer, waterproof inner membrane, and removable thermal inner jacket. 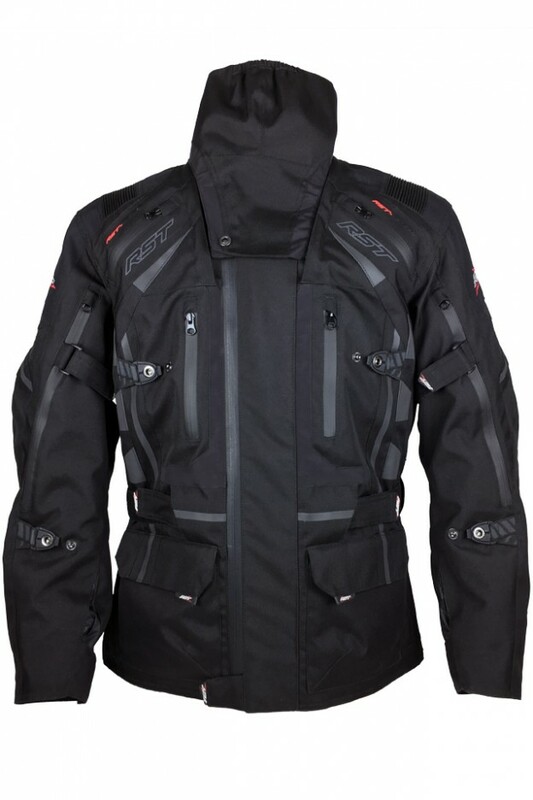 The outer layer of this jacket is constructed from Teflon coated Maxtex and Ballistic. The Paragon V includes a fixed Sinaqua waterproof liner and a removable 75 gram quilted thermal liner. A removable throat coat is also included. 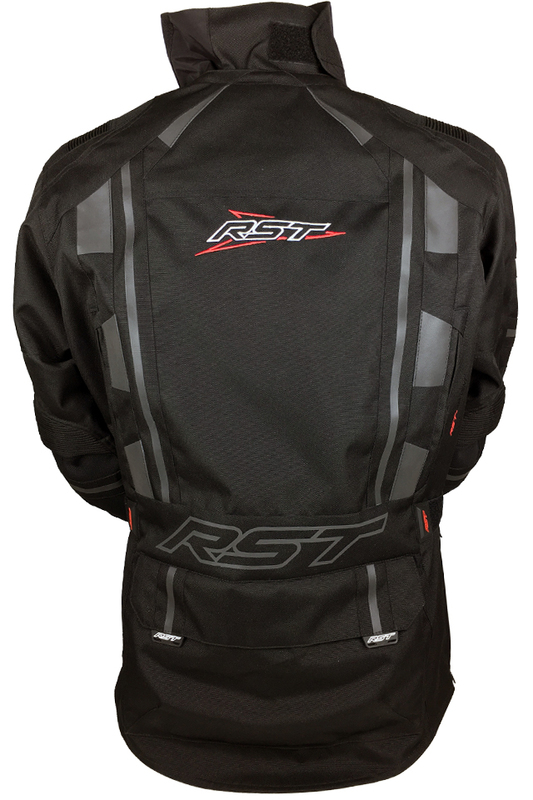 This jacket incorporates RST’s Contour plus CE shoulder and elbow armor, as well as a Level II CE back protector. 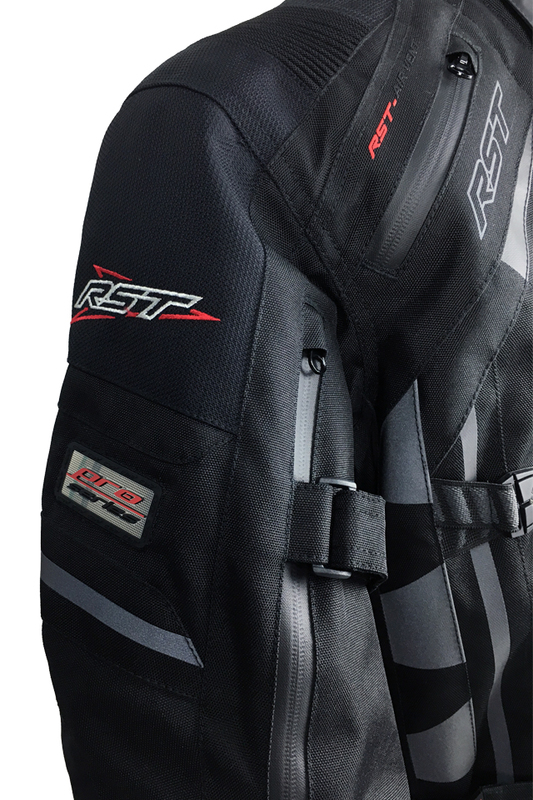 A 360 degree zipper gives you the option to connect this jacket to a pair of RST Pro Series Paragon V Textile Pants. Velcro waist adjusters allow you to customize the fit of this jacket. Reflective details help you to be more visible to other motorists on the road, especially at night. 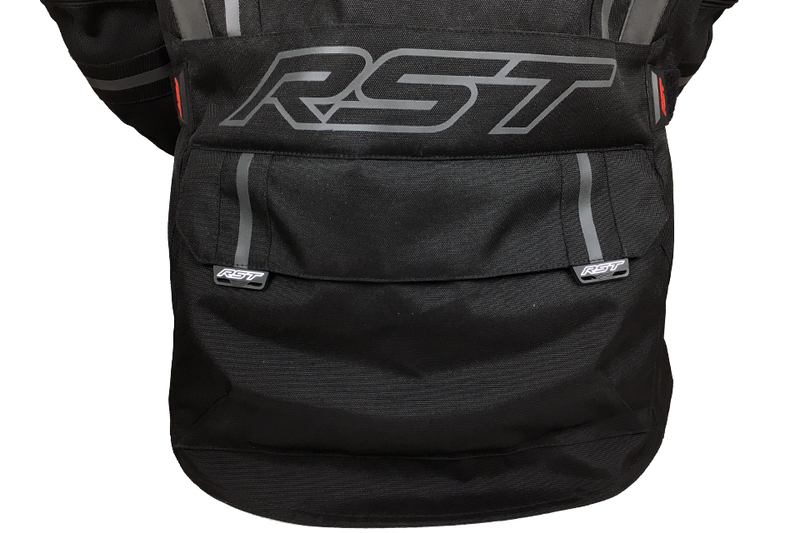 This entry was posted in Product Reviews and tagged Motorcycle Jacket, Riders Discount, RST, RST Paragon V Jacket, RST Pro Series Leather Suit, RST Pro Series Paragon V, RST Pro Series Paragon V Jacket, RST Pro Series Paragon V Textile Jacket, RST Pro Series Paragon V Textile Pants, RST USA on January 27, 2017 by Riders Discount.